Our products are available in a variety of sizes and designs, customized as per the client's specifications.Our components are manufactured under the supervision of our skilled quality controller. Precision component manufacturer has 4th axis CNC turn-mill machine of DMG gildmeister. This incorporates turning as well as milling job simultaneously. 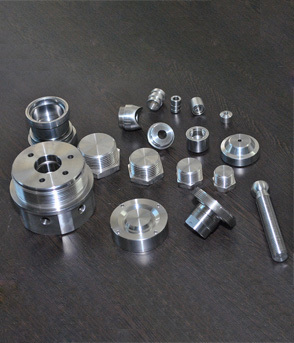 Thus we accomplish best quality and accurate machining work. The Machine has a dual turret and a dual spindle. As a result the overall cycle time is reduced and the quality of the machining part is enhanced.